A pressurised system distributes treated wastewater by discharging it through a system of small diameter pipes. The distribution network is made up of a supply manifold and specially designed and drilled distribution pipes. The wastewater is pumped at pressure from the treatment tank, ensuring it flows to all points of the network. This pipe network is laid out on a bed of stone and subsoil, covered with a geo-textile membrane and covered with topsoil. Pressurised systems are particularly useful in raised percolation beds. 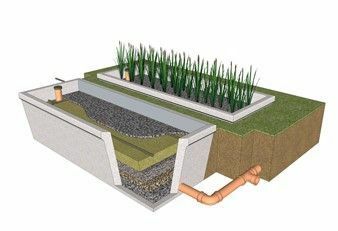 Raised beds are constructed by creating a mound on top of the normal ground level using imported soil of suitable percolation characteristics. They are installed where difficult site conditions such as high water table, insufficient subsoil depth or poor percolation characteristics are encountered. These kits are normally used in conjunction with secondary treatment systems. Usually the pump included in our AswaFlow treatment system can be used to feed the pipe network, however, distance from the system, height above the system and size of the pipe network may prevent this. In these circumstances we recommend the installation of a larger pump fitted inside a separate pump chamber which can also be supplied by Moylough Eco Systems. Each system is designed to be site specific. Size and layouts are dependent on the occupancy of the dwelling and the permeability of the soil. The following table outlines the minimum required bed sizes (EPA CoP, 2009). A sand filter consists of several layers of graded sand. Wastewater is distributed evenly over the filter's surface. It then percolates through the sand, where it is treated by a biofilm within the system. The effluent from the system will be clarified to the required standard. Sterilisation usually consists of UV light treatment of the treated effluent prior to discharge to a water course or to a percolation area in a sensitive area. This will reduce the pathogen content of the effluent. 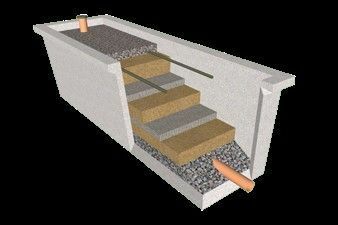 Each system is designed to be site specific. Size and layouts are dependent on the occupancy of the dwelling and the effluent quality. 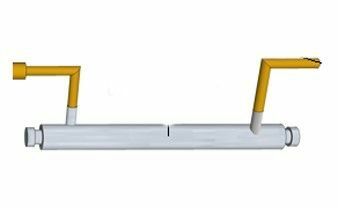 We have standard systems for different sizes; however, we can offer kits to suit your site with regard to size and layout. We also offer an installation service. A trench percolation system uses a series of specially designed 100mm perforated pipes in stone lined trenches to distribute treated effluent to the subsoil, where it undergoes further treatment. Each pipe is connected to a single distribution box which evenly distributes the wastewater between each trench. 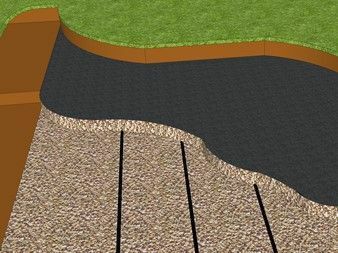 A permeable geo-textile membrane covers the stone trench, preventing clay from the top soil from washing down and sealing drainage paths. Distribution of water along the trench relies on gravity, therefore accurate levels are critical. 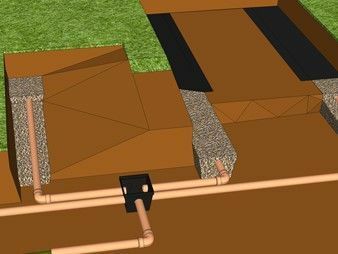 As this can be difficult to achieve in long trenches, Moylough Eco Systems recommend that a gravity system and hence a trench system is not installed for trench lengths greater than 100m.